OTTAWA (ON) - One of Canada’s most traditional sports will look a lot different this summer as Softball Canada announces the launch of a new emblem and brand system to capitalize on the sport’s return to the Olympic Games in 2020. A short time after the organization celebrated its 50th Anniversary in 2015, the decision was made to explore a new look that would unite the sport’s reach from coast to coast at the domestic level and on the international stage, where Canada has taken a big step in establishing itself as one of the world’s top softball countries. The Canadian Men’s Softball Team is the current reigning World Champion after winning the Gold medal at the 2015 WBSC Men’s Softball World Championship, while the Women’s Team recently won bronze at their own World Championship in 2016. Canada is currently ranked third in Women’s and fourth in Men’s in the WBSC World Softball Rankings. Women’s Softball will be making its return at the Tokyo 2020 Olympic Games after appearing in four straight Olympic Games from 1996 to 2008. With tremendous support provided by the Canadian Olympic Committee and their NSF Enhancement Fund, Softball Canada enlisted the services of the firm of Hulse & Durrell who have recently launched a number of successful brands in the Canadian sport landscape. 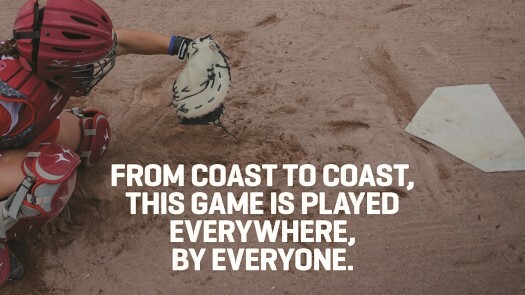 Their extensive knowledge and expertise guided Softball Canada through the creative process to achieve a look that will resonate with softball’s diverse audience, from athletes, coaches and umpires to administrators and spectators of all ages. Throughout its first 50 years of existence, Softball Canada saw very few changes to its core emblem, building a strong sense of identity among its members. The new emblem draws from that history in a clean and impactful way, leading the path for a new generation of softball athletes, coaches and umpires. The new Softball Canada branding features much more than a new emblem. A full brand analysis conducted by Hulse & Durrell revealed a wide array of logo, colour and style variations currently in use. One of the main revelations from this process was a renewed focus on wordmark scripts, which have been featured on the front of Canadian softball uniforms since the early part of the 20th century. 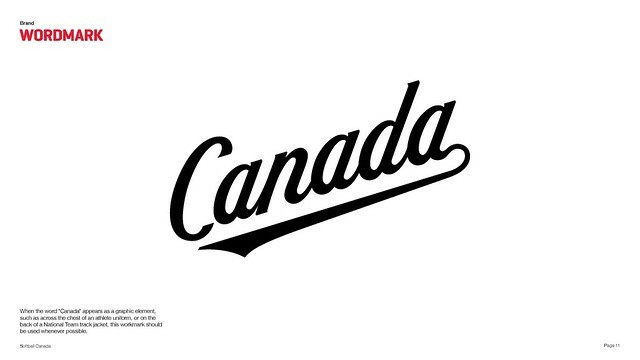 A custom CANADA wordmark was developed as the identity of Softball Canada’s National Teams program, with corresponding scripts being developed for all of Softball Canada’s development programs. Event logos have also been simplified by making use of Softball Canada’s new emblem and typography to create a consistent look and feel across all Canadian Championships, coaching and umpire events and clinics. A Brand Guidelines document has also been created to ensure partners use the new markings correctly.